The expendable misfits of B-Squad live from mission to mission and die by die roll! Not everyone will make it back, and the casualties of each mission are decided by the roll of the writer's dice. Join the best of the worst as they bravely tackle the dangerous leftover missions no other outfit would take on. 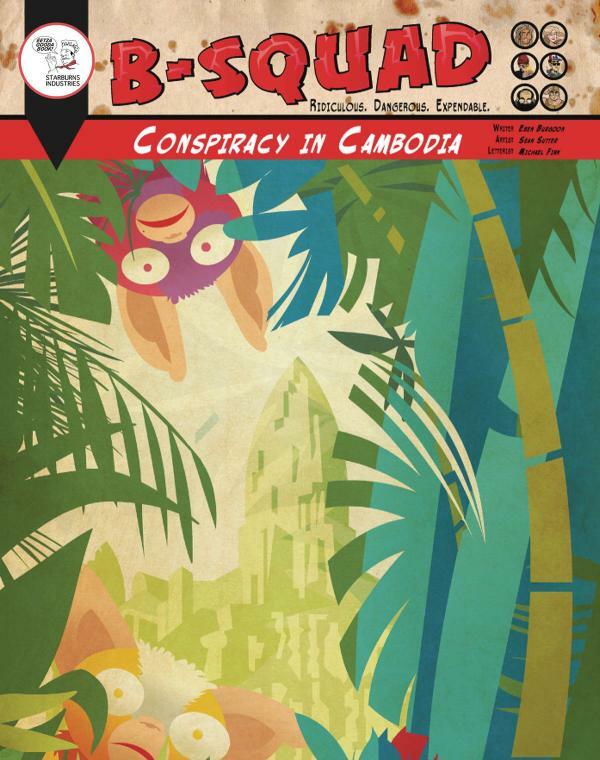 In this first mission, B-Squad is sent to Cambodia to protect a cancer researcher from radicalized hipsters convinced his research is part of an international conspiracy. Taking on waxed mustaches and fixies, cancer-curing mugwais and mad scientists, B-Squad soon gets overwhelmed sorting out the truth from fiction.